Besan or chick pea flour is frequently used ingredient in many dishes, especially in street food like pakoda (pakora) and fries. Have you ever tried chickpea flour dip with dosa or idlies? 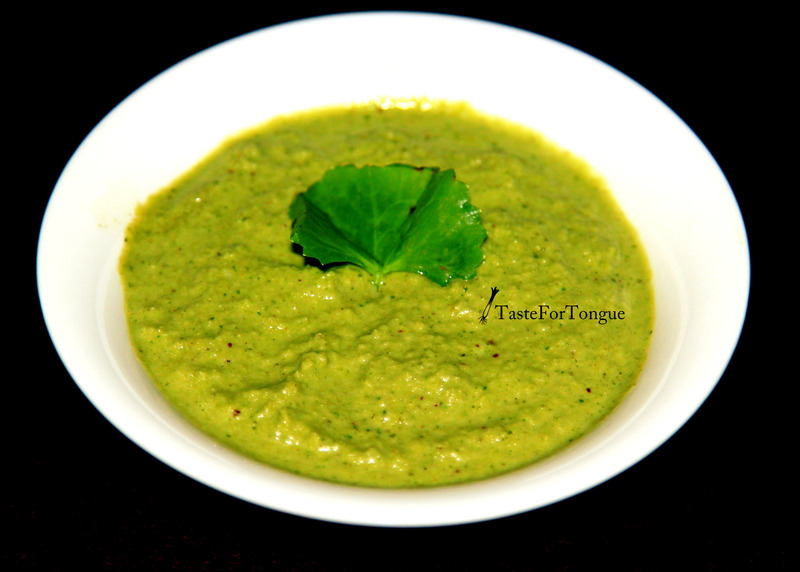 If you are bored with usual mint and coconut chutney for your breakfast then here is a new recipe. Mix water to besan with out lumps and keep it aside. Take a deep pan and add a spoon of oil, upon heating add chopped onions and ginger saute until golden brown. Now add chopped tomatoes, turmeric powder and salt and cook till it is mushy. Add besan mixture to this and let it boil until the raw smell goes and it becomes thick. 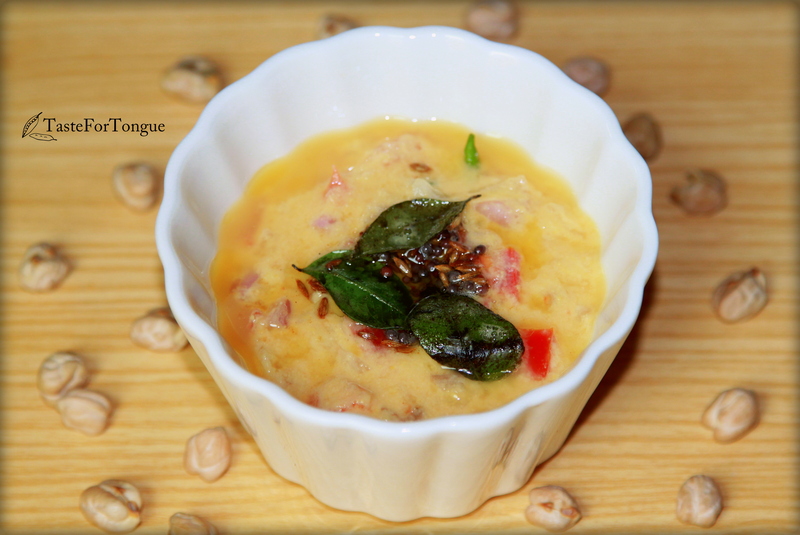 Now tamper it with the ingredients mentioned above and garnish with coriander leaves. Note: I have added onions here if you don’t want you can just skip it.